As we all know I love all things tabletop related, give me a tablecloth, some napkins, flatware and vases to play with and I am like a little girl with a brand new set of Barbies and accessories. 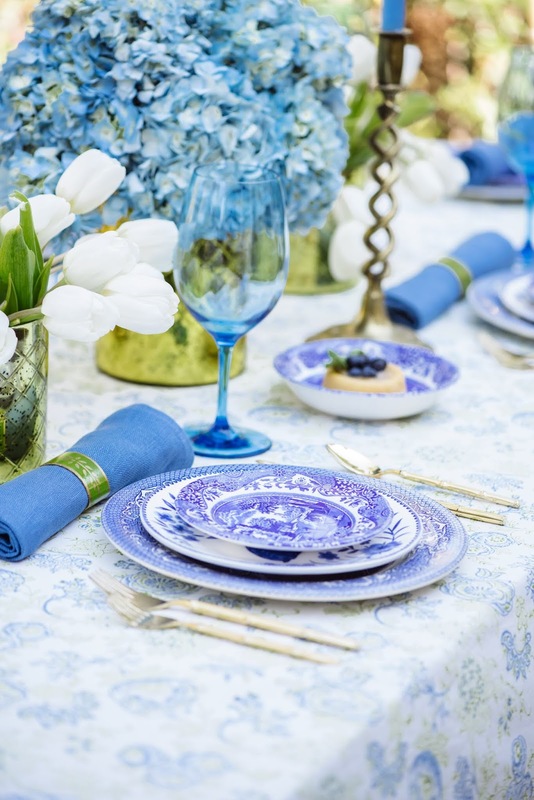 I love setting tables for any event including a simple dinner at home. Honestly, setting the table may be more fun for me than cooking which is why I married the best cook I know! 😉 I get so very excited to find a new amazing source for all things home related and I am thrilled to introduce you to the amazing finds available to you from at Fete Home. Started by two former Bunny Williams home executives, Fete Home hit the scene last year and has made a fantastic debut. With the wonderful collection of products in a number of areas they carry products to dress your coffee table, your tables and even the corners of your home. Their goal is to design products for real life, the life they have as business owners, wives, mothers and women who love life. Releasing five collections each year they are hitting it completely out of the park and down the lane. Currently they have four collections and I am partial to two of them, Chinoiserie and Holiday. 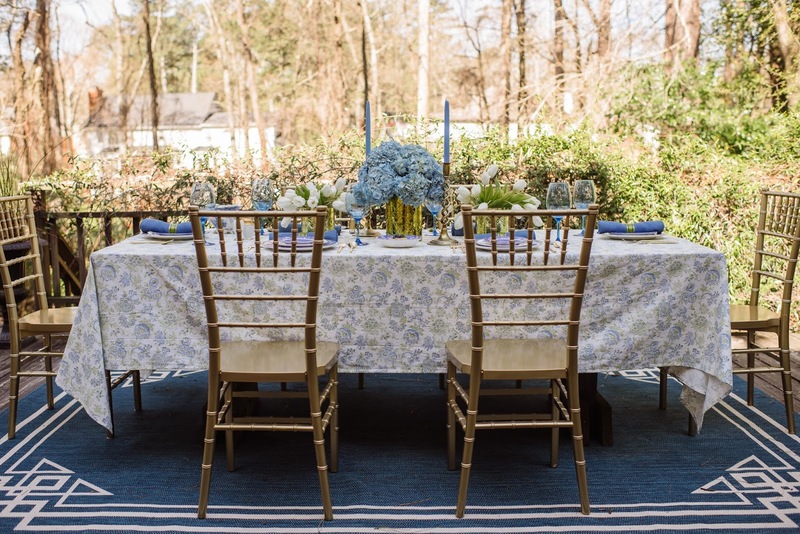 Using the Eloquence Tablecloth + Everyday Napkins (Light Blue) along with some Etched Vases (wide and tall) I set a table perfect for a spring luncheon for your girl friends, a wonderful spring brunch for your family or a wonderful dinner alfresco. 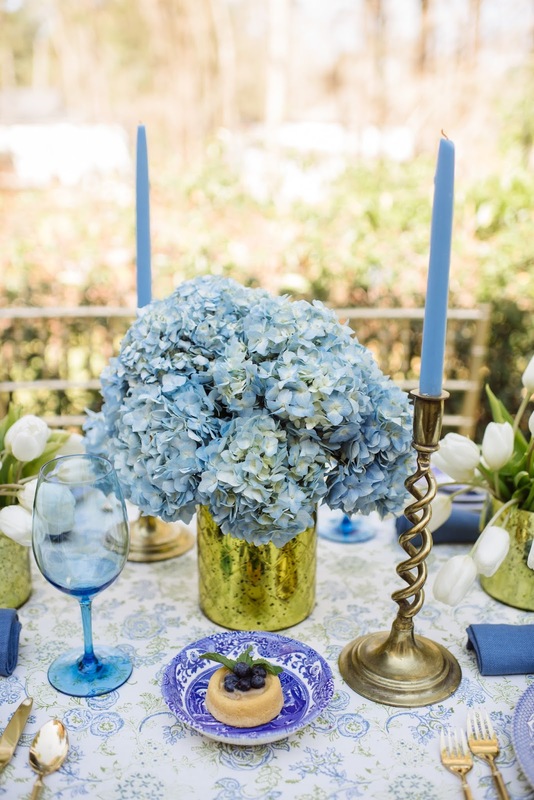 I absolutely love the mixture of blues and greens and knew they would be ideal on the table on our patio. With all the trees beginning to bloom and the sun shining, I could eat every single meal outside soaking every single second of it in. 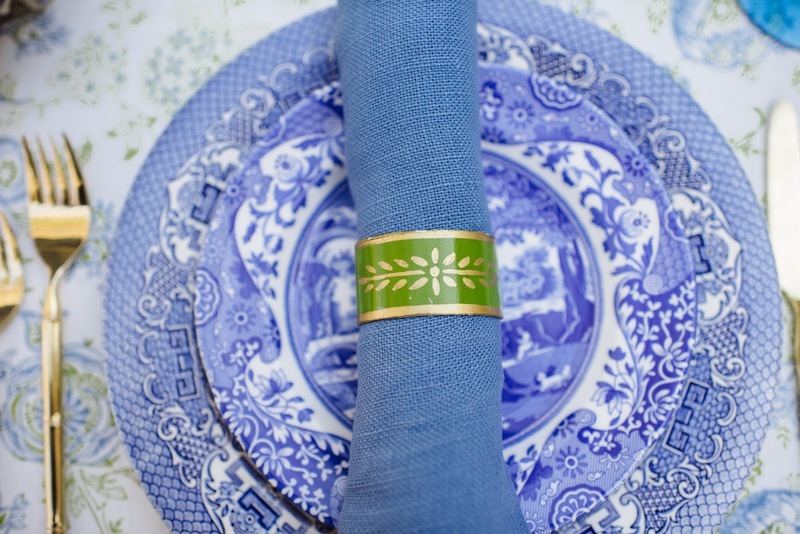 As soon as the chill is gone in the air we will be using these linens every single time we sit at this table. 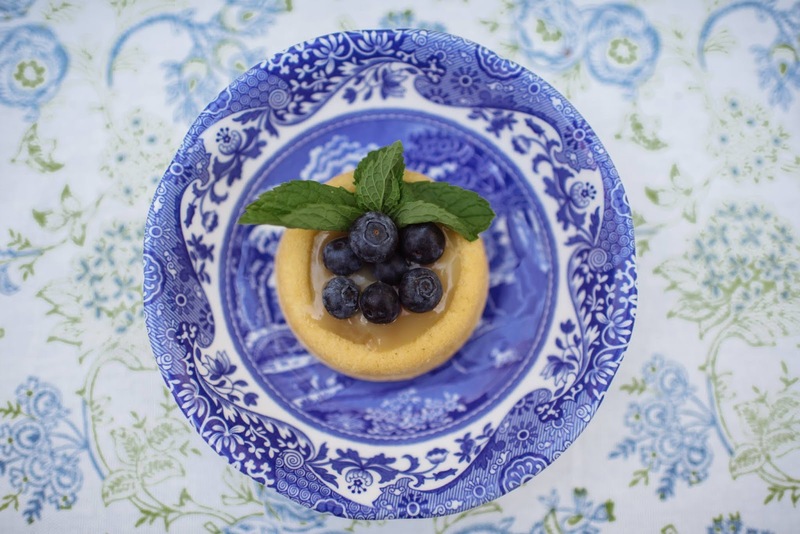 I just love how the pattern of the tablecloth pairs so well with all of my Spode dishes and is perfect for everything from our bamboo everyday flatware to our special gold bamboo for special occasions. 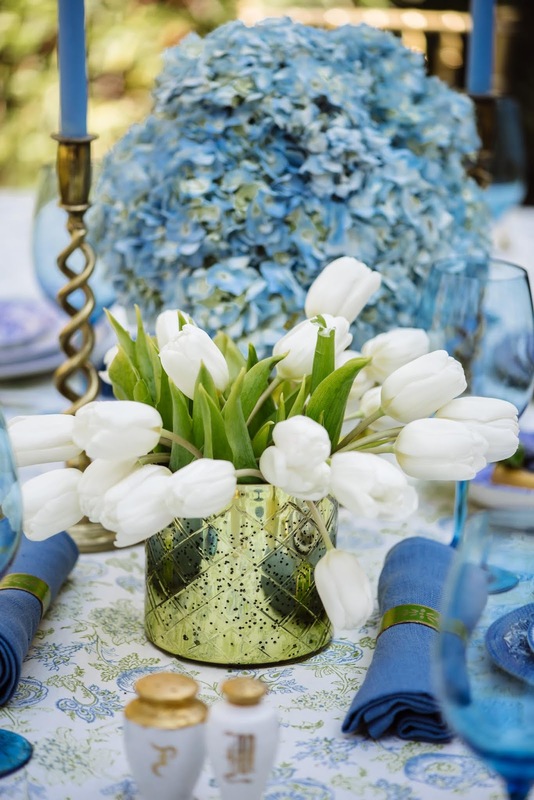 When setting the table I pulled out some of our blue and white dishes, a few of my favorite entertaining pieces and filled the gorgeous etched vases with white tulips + blue hydrangeas. 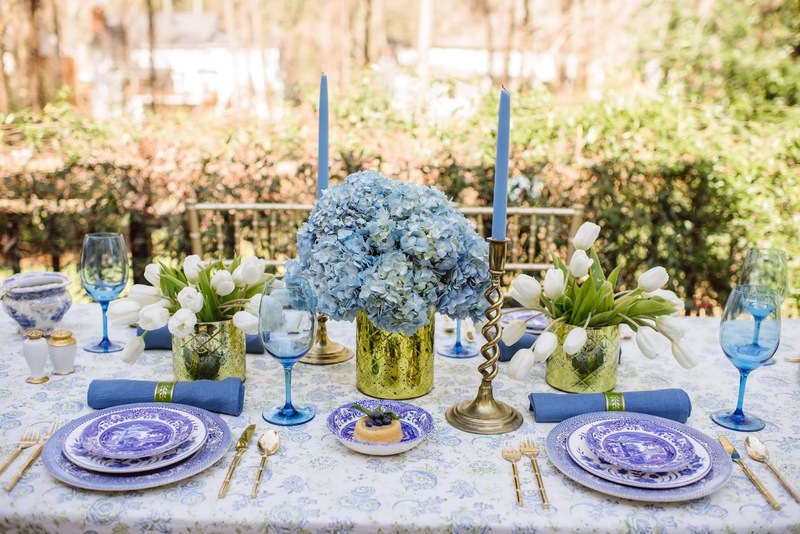 It may have been the easiest table I have ever set, the goods were just so stunning! I asked the women behind the brand to share their thoughts on the brand, their vision and their story. While I personally know Audrey I have not had the pleasure of meeting Jen but I can tell you I admire both of these women so much. When you read their story below you will clearly see why. Tell me all about Fete Home ... What are your backgrounds and how did you meet? Before we started Fete Home, we worked together for over 10 years, as CEO and Creative Director at Bunny Williams Home, respectively. We like to joke that we really must like each other, because we’ve shared a desk for so long! Jen has a business background and experience with supply chain management, financial oversight and distribution. Audrey is trained as an architect and works in product development, design management (from sketch to finished sample), cultivation of vendor relationships, quality control and marketing management. Our skill-sets mesh so well. 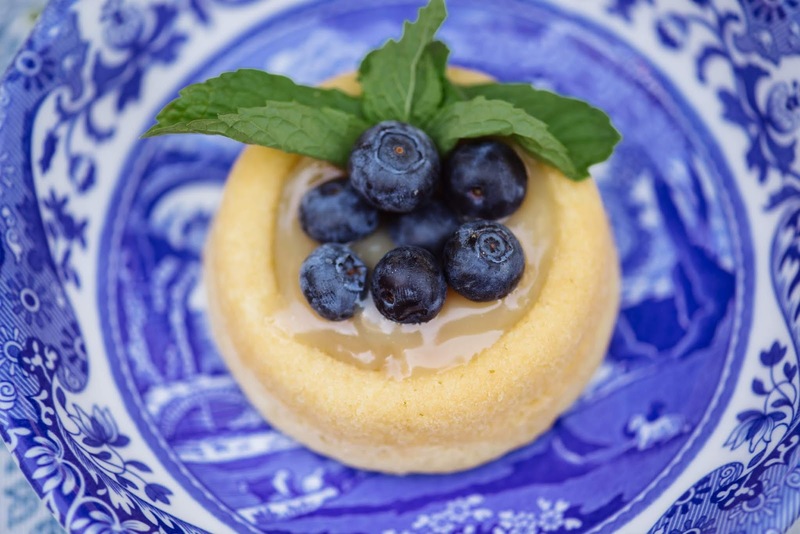 We realized fairly quickly that we both love our homes and wanted to fill our homes with beautiful things but that we didn’t have a huge budget. We saw white space in the market for good looking, interesting but affordable home products. With our experience and wonderful connections in the industry, we began to get excited about designing with ourselves as the target audience. Most exciting was the thought of offering a direct-to-consumer home brand, something we’ve watched transform other industries. Do you think your personal styles reflect in the items you choose for the shop? Definitely! We have one golden rule – and that is not to make a product unless we would want it in our homes – so you can believe that we both LOVE every product we offer. That said, we each have a little bit different styles – Jen likes color and little bit of shimmer, Audrey goes for more geometrics and muted tones. We introduce our products in collections, groupings based on an aesthetic theme. These range from Minimalist to Chinoiserie – and as we grow, hopefully everything in between. We love being able to design and offer a wide stylistic point of view. What do you think sets you apart from other home goods companies on the market? We design and manufacture 70% of what you see on our site (the other 30% we fill with products on the market that we love). Our exclusive products really set us apart. We began by designing fabric patterns. 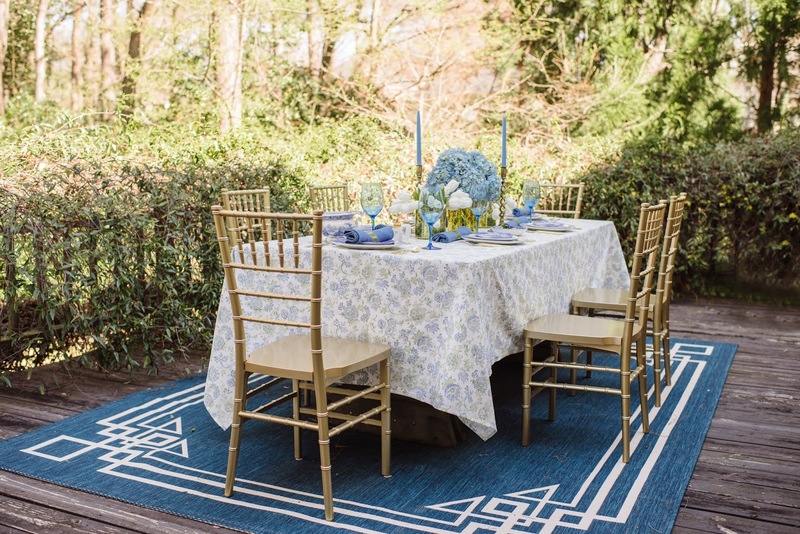 Now, we sell these patterns at fabric-by-the-yard, upholstered benches, ottomans and stools, pillows and table linens. We are both mothers with young children. 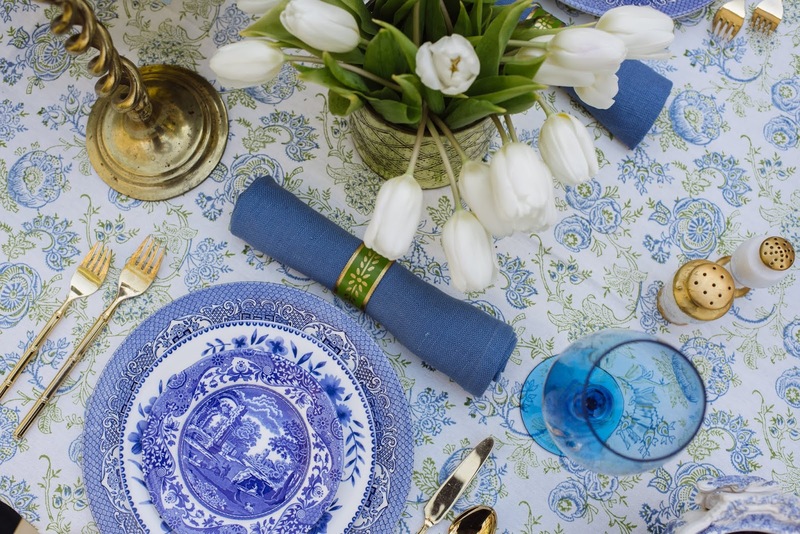 And that mentality goes into everything we design – all of our linens are machine washable (little to no ironing needed), our plates and flatware are dishwasher safe, and many of our products multitask – like our Brass Tulips, which look just as good on your coffee table as on your dining table. 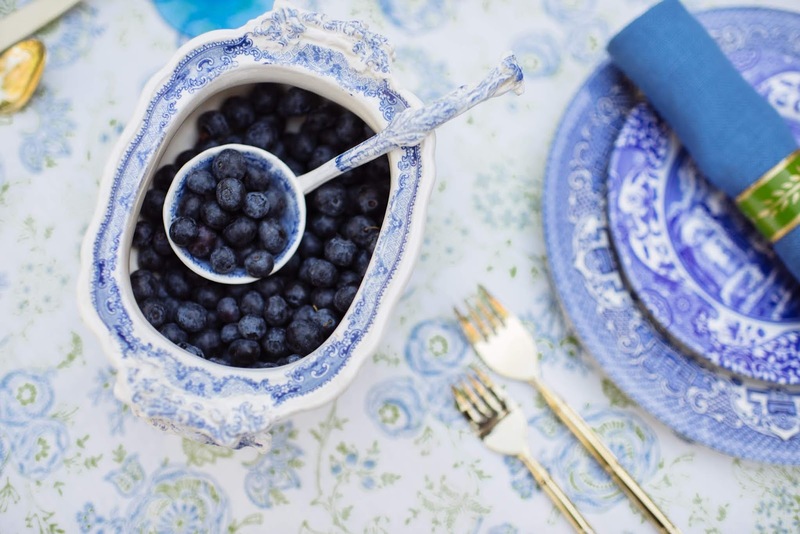 Make sure you spend some time perusing the beautiful pieces at Fete Home. I absolutely love my pieces and I know you will as well. 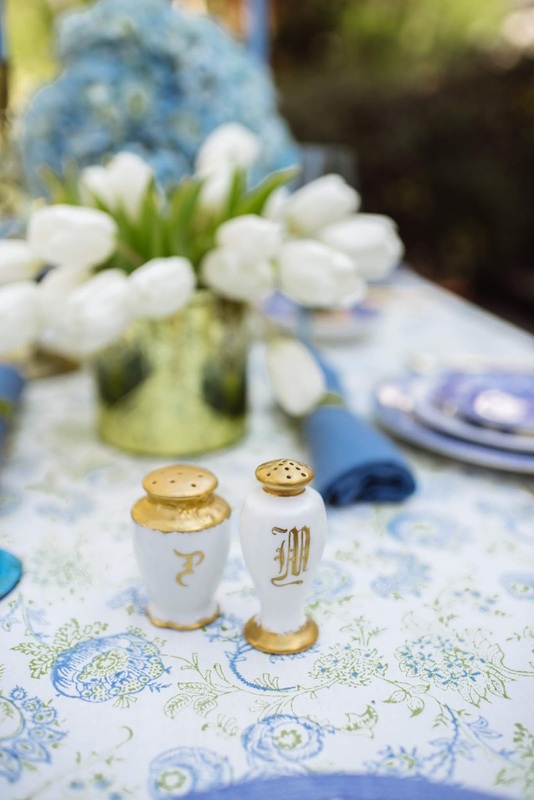 Fete Home is my new go to source for gifts, hostess happies, items for our home, and wish lists for something fun to set our tables. You can also follow them on Instagram and get sneak peeks of amazing ideas for styling and using their products.